List any previous RS names: Haven't played Rs3 in 6 years, forgot my user name lol. This is the only OSRS account I play on. I have been playing Runescape since 06. I played regularly until EoC was released and became RS3. 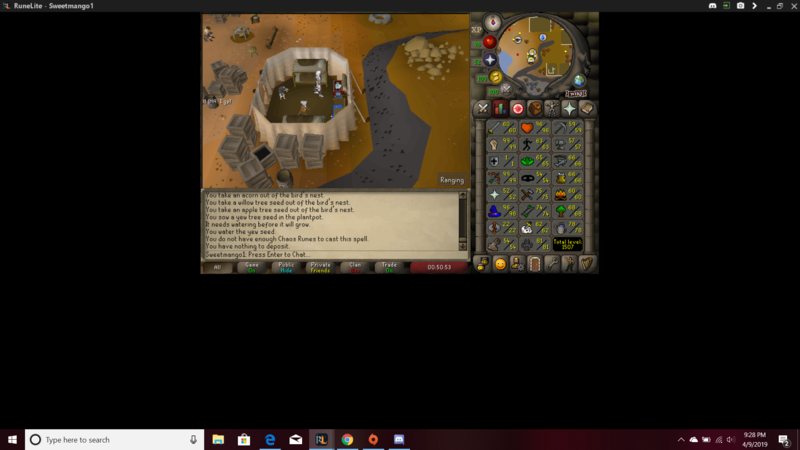 I started to play Old School Runescape again in 2018 as it is the game that I remember playing all those years ago. My Rs3 account is a "main" so I trained every stat but my OSRS account is a 1 def pure even though I still do a lot of skilling still haha. I joined a clan called "Fun Cave" back in 08. I can't recall much of that clan as it was mainly a PvM/Skilling clan. Hi,my name is Mango and I'm guy in real life but my in-game character is a girl. This is because I originally created this account for my wife but she didn't want to play Runescape so this account is now my main account. I like working on my car, it's a Honda. EDM and Pop are my favorite genres of music. I live in the U.S. and I'm in my 20s. How did you hear about us? I Googled "OSRS Rev Clans" and your clan showed up on Reddit. What makes you want to join us? I asked the WG CC members if it's okay that the only pking I want to do is Rev Caves. And you guys said that's okay so I want to join! Thanks! I'll be sure to join the trips that have multi combat so I can join in on the action! At least this way, we have a larger pool of players to pk this way! Welcome. Good luck and nice pure! Hey dude. You can come on rev PK trips and feast on all the lower levels we can't even attack but the problem is, when pure log in you're on your own. Looking forward to seeing you out there! I'm not bothered, most of the good loot is around level 90s and higher. I can attack up to around 115 on the 30 wildy line. And i'm not intimidated by the lower levels. Yes, I have an ancient mace in the bank! Goodluck on the application ! !